Updated September 13, 2018. Did any of you score a deal on a Hawaii vacation earlier this week? 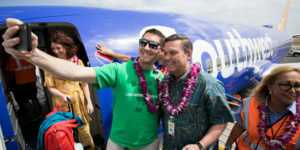 If not, we just checked and most of the flights to Hawaii that we reported on are still on sale as of today. We’ve updated prices and availability. This just might be the best time to book your Hawaii vacation deal if you haven’t done so already. Competition driven sale that’s still available but appears to be ending soon. Travel on 9 routes from New York, Washington DC and Texas. Includes summer and fall travel dates. Ends tonight. Travel from September 2018 through March 2019. 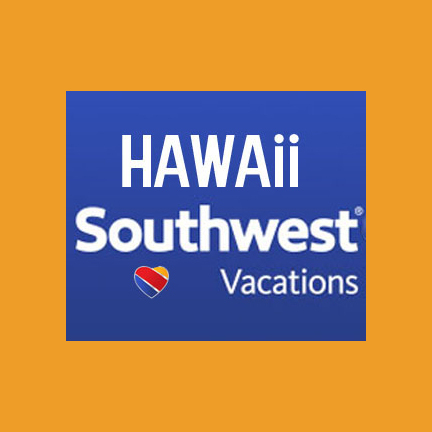 Sale valid from all Hawaiian Air mainland gateways to five airports on four Hawaiian islands. 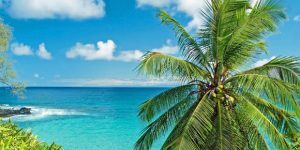 And, if you’re looking for the ultimate Hawaii vacation, a free trip to Hawaii, don’t forget all of the Hawaii sweepstakes that are currently in progress for September. 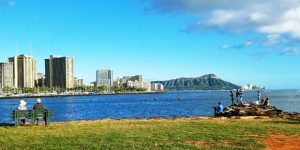 Hawaii weather in late summer and fall plus fewer crowds make this the ideal time to visit. It’s been a busy summer in Hawaii. But for a late summer or fall Hawaii vacation, you can expect fewer people, and cooler days with the sun more angled and the light more beautiful. The Old Farmer’s Almanac is predicting an average fall temperature of approx. 80 degrees. Aah. Good news for those planning a fall escape to the islands. That’s our favorite time of year in the islands. 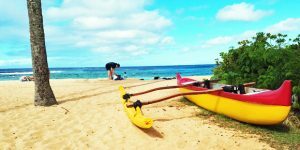 It is also the cheapest time to fly to Hawaii. Dry season runs from May through October or beyond. Aside from an occasional tropical storm, the rain pattern is mostly away from the beach, in what is called “mauka” or mountain showers. That has been ongoing this spring. Mauka showers, driven by the prevailing trade winds, cross the island mountains from the northeast to the southwest, leaving the south and west sides warmer and dryer. While mountains and valleys receive rain, it’s usually dry at the coast, which typifies our micro-climatic conditions. Come enjoy Autumn in Hawaii; the best time of all. We are traveling from SJC to OGG on 10/26 Friday – 11/5 Monday. Do you think prices will go down towards mid to end of August? Or should we purchase sooner? If you get a chance, could you please offer some input? Thank you! I saw you guys posted mid June about Fall sales, just curious. Many Thanks! Good route for deals. Fridays are somewhat more challenging than Thursdays, so keep that in mind. Suggest waiting with target price $350-$400 RT. Could happen at any point – can’t say end of August. I am planning to travel to Honolulu from St. Louis in February 2019. Any suggestions of how to get the best flight deal besides booking during the week? Should I book now or wait a bit? Thanks so much! As we just mentioned to someone else traveling in February, mid-week travel will probably be best priced just inside of 90 days before flight. Sounds like fun. But no, we don’t know anything about it. great rates from the west coast and phoenix but why not las vegas?? ?